Getting lighting right can be difficult in any establishment. We so often overlook many factors when choosing lighting, deciding on units from their appearance alone. But, when choosing lighting for your restaurant you need to think about a number of things. We have created this easy guide to help you make informed decisions when choosing restaurant lighting. Ambient Lighting: Ambient lighting is basically the light that is found in the space. It could be natural or artificial, but essentially it’s the lighting that will enable your customers to see what they are doing and avoid crashing into things. Accent Lighting: Accent lighting is used to focus light on specific areas or items. So for example, you may decide to use accent lighting to draw customers attention to a specials board, or a feature in your restaurant. 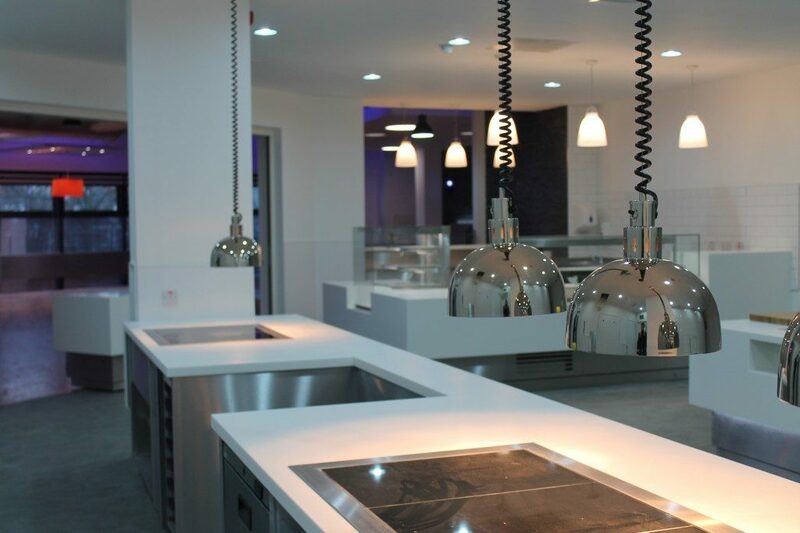 Task Lighting: Task lighting can be used in your restaurant to help customers and staff see tasks clearly. 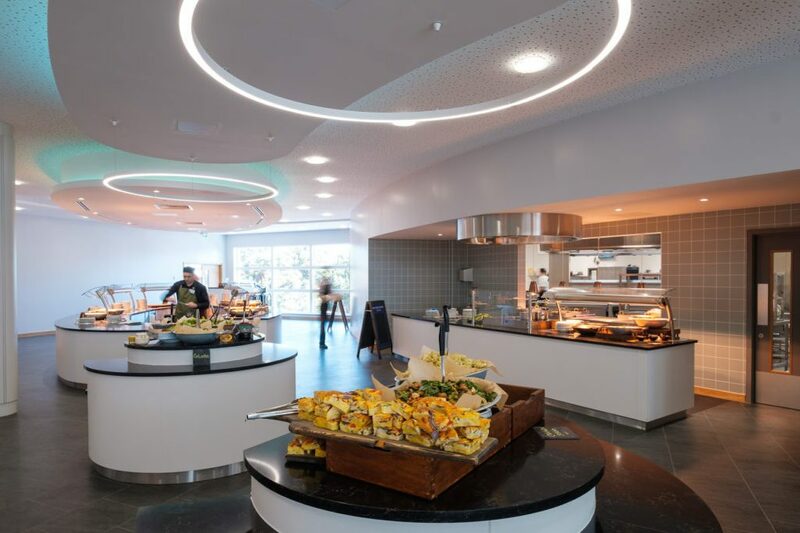 For example, individual lighting at tables can help customers read menus, while task lighting in the kitchen and reception areas will enable your staff to see what they are doing clearly. We’ve all sat in a restaurant that feels too dark, or is so bright we can’t relax in the clinical atmosphere. As with the rest of restaurant design, keep your customer at the forefront of your mind. Be sure to make choices based on their comfortability. Low lighting is romantic and soothing, so can be used to encourage customers to stay and dine with you all through the night. Bright lighting is more stimulating creating a busier atmosphere, perfect for cafes, bars and family restaurants. Concentrate on getting the balance just right for your customers. If your restaurant is open from morning to evening, then you could consider changing the lighting throughout the day. At breakfast you might want bright lighting, lunch could require something more moderate and dinner service may call for romantic low lighting with task and accent lighting taking centre stage. You don’t have to rely on electric to light your restaurant. We’re big into sustainability here at Ceba Solutions and are fans of as much natural light as possible. Not only is it great for your overheads, but your customers will thank you for it! What’s nicer than watching rain hit the windows of your favourite establishment? Technology is making it’s way into all aspects of our lives, including the places we choose to eat! Don’t be afraid of experimenting with smart lighting. The technology has come a long way, and you can set the perfect mood for your diners simply at the touch of a button. 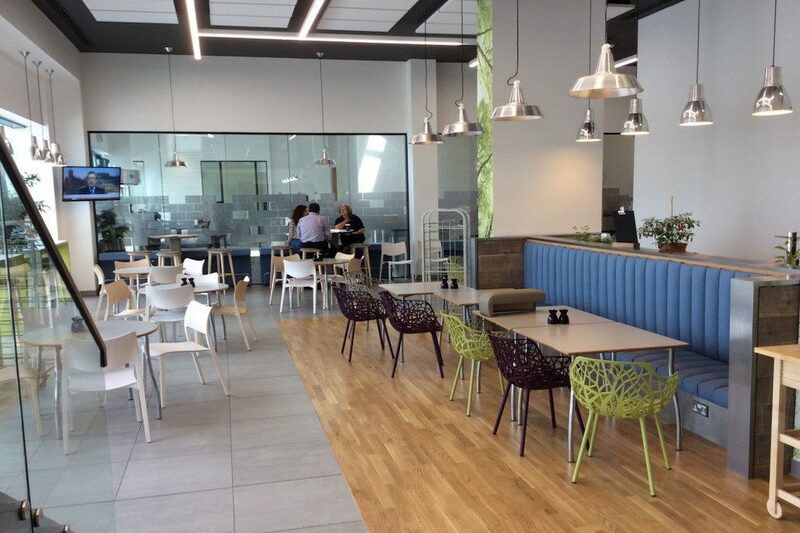 If you want to speak to us about restaurant design, you can contact us here.